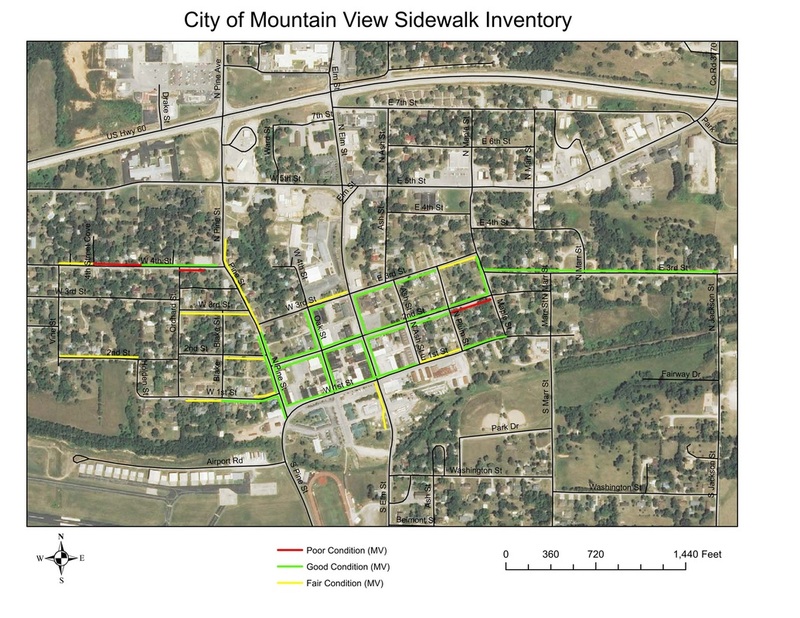 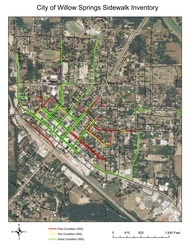 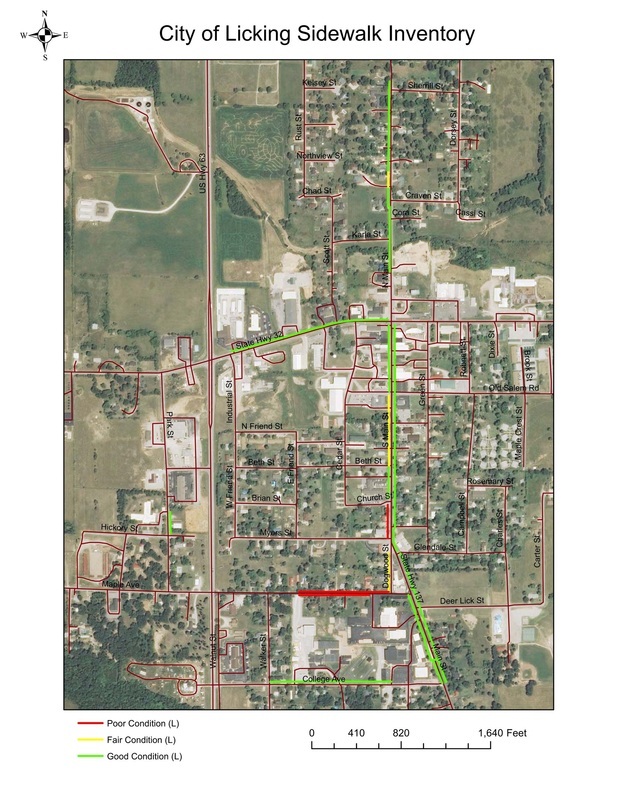 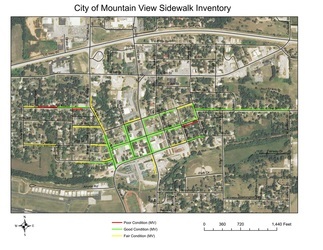 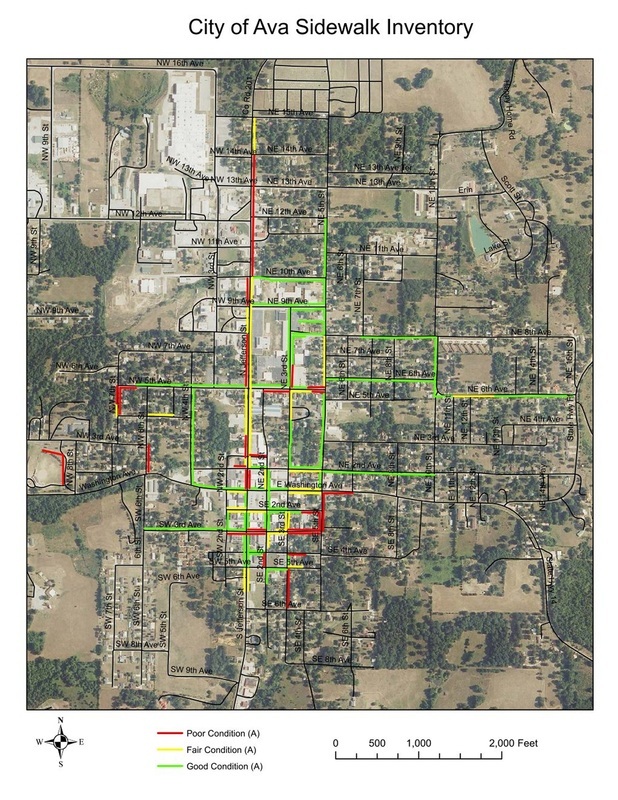 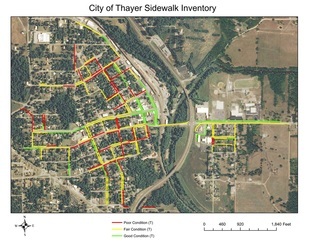 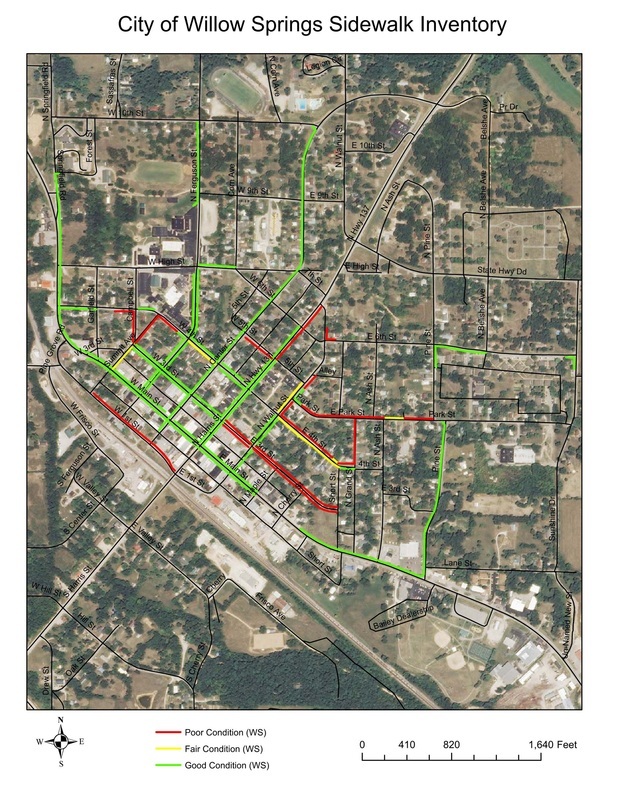 The sidewalk ratings were labeled "Good", "Fair", and "Poor" based upon criteria such as slope, cracks, upheaval of sections, and overall walkability. 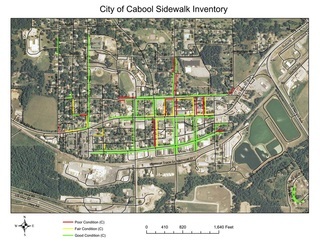 The ratings were applied with thought of how easy would the average pedestrian be able to traverse the particular stretch of sidewalk. 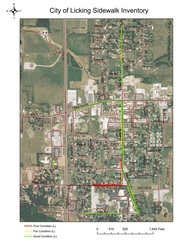 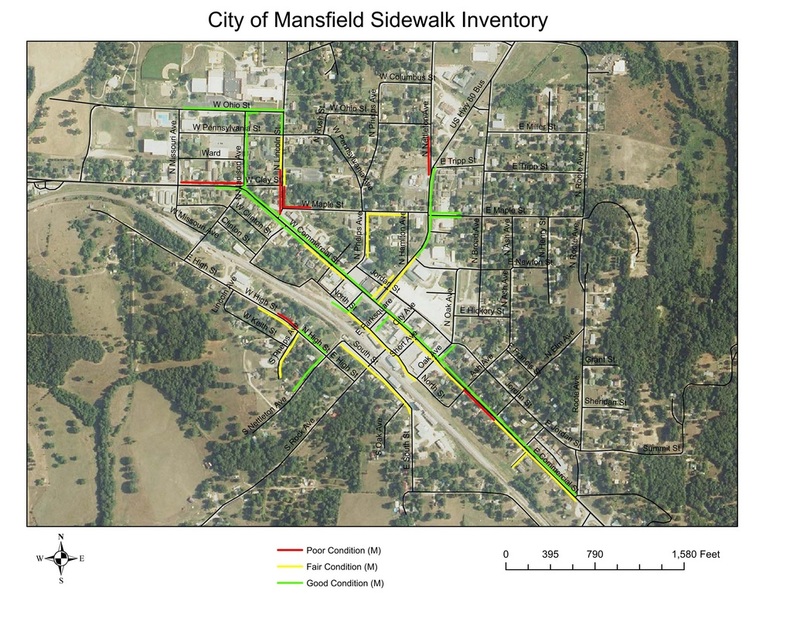 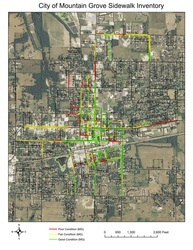 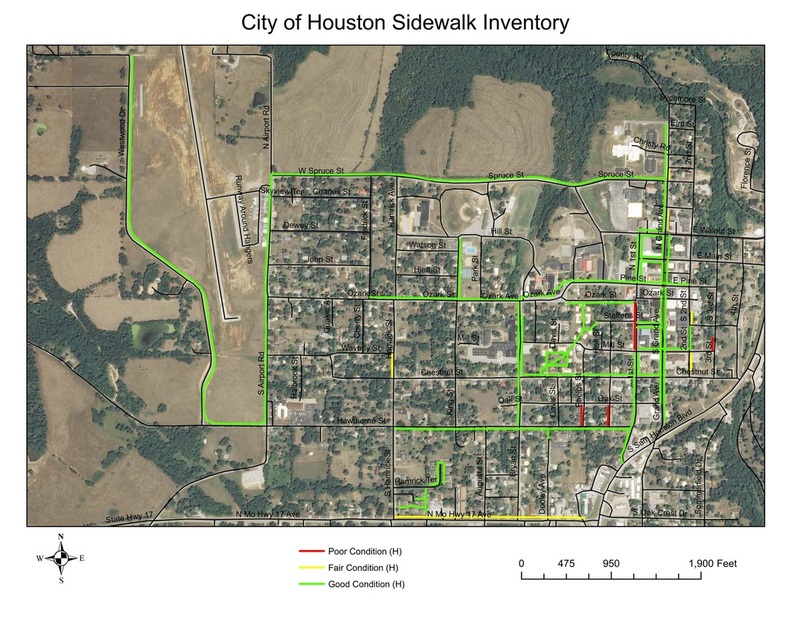 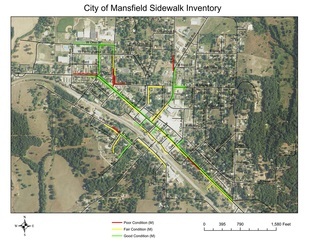 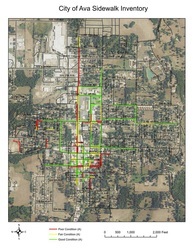 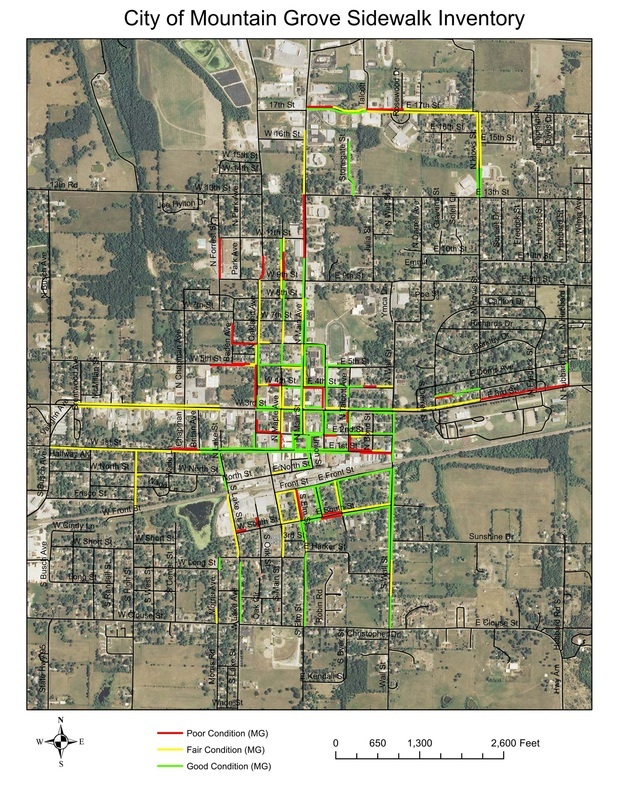 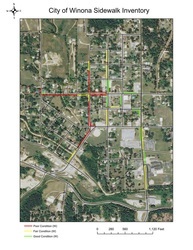 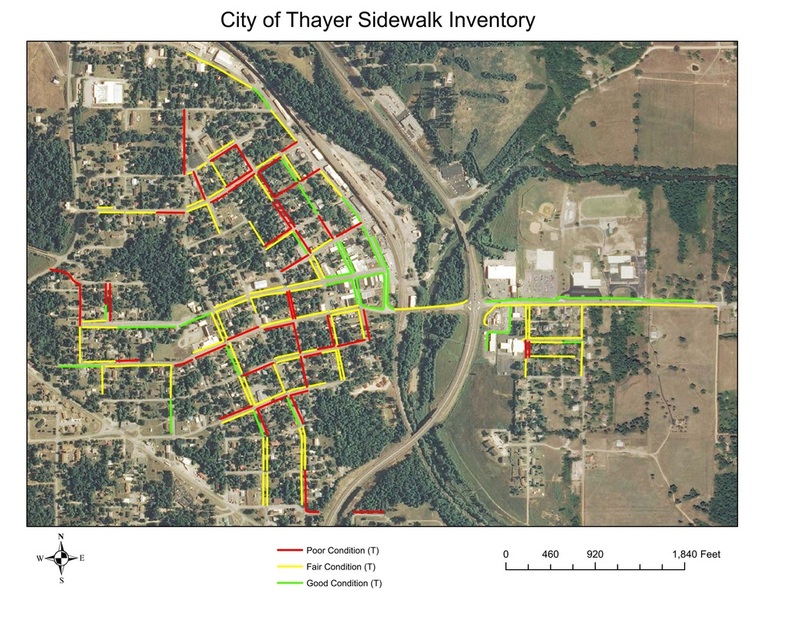 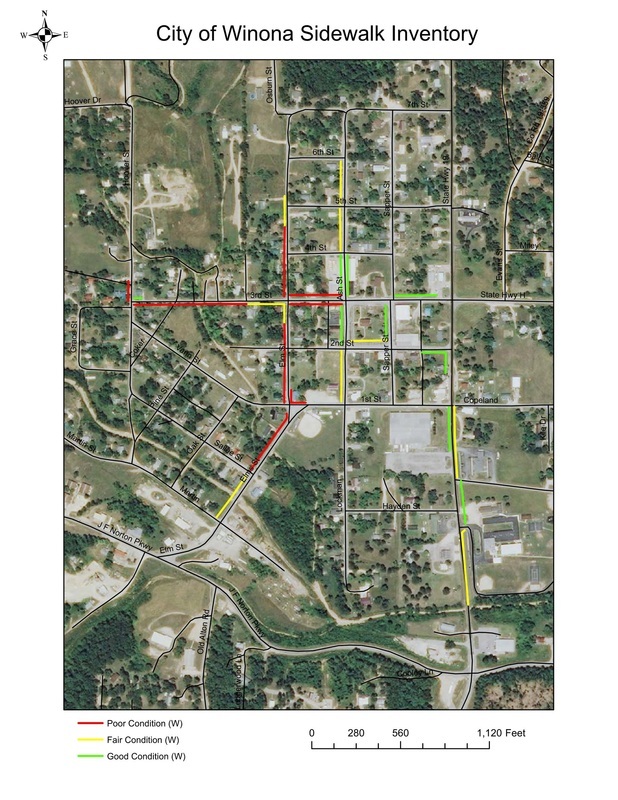 Once initial field surveys were completed, the information was brought back to our office where it was drawn over an aerial image to give an overall sidewalk map of the each city.